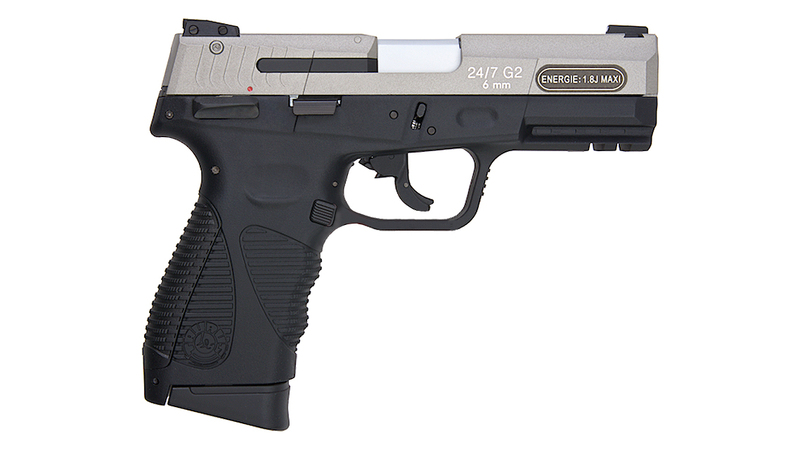 This TAURUS PT 24/7 G2 GBB pistol replica is a striker fired by CO2 powered and Fully licensed by Cybergun. 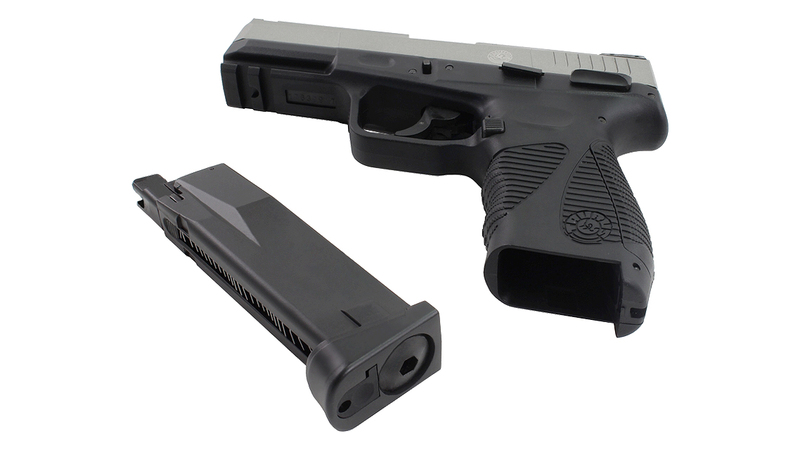 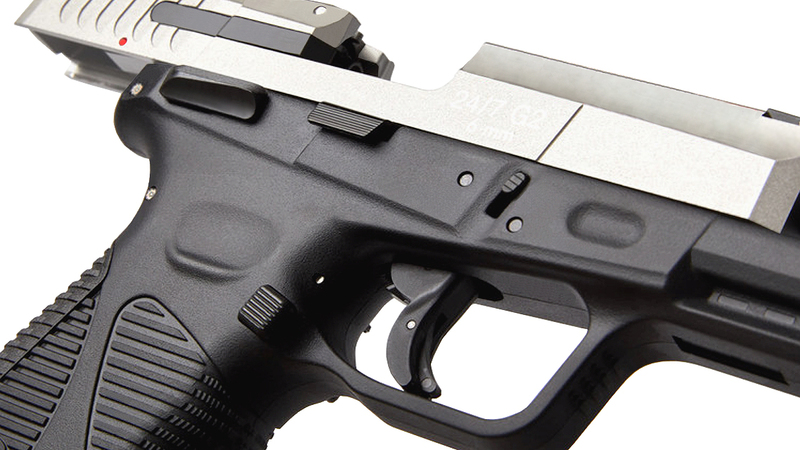 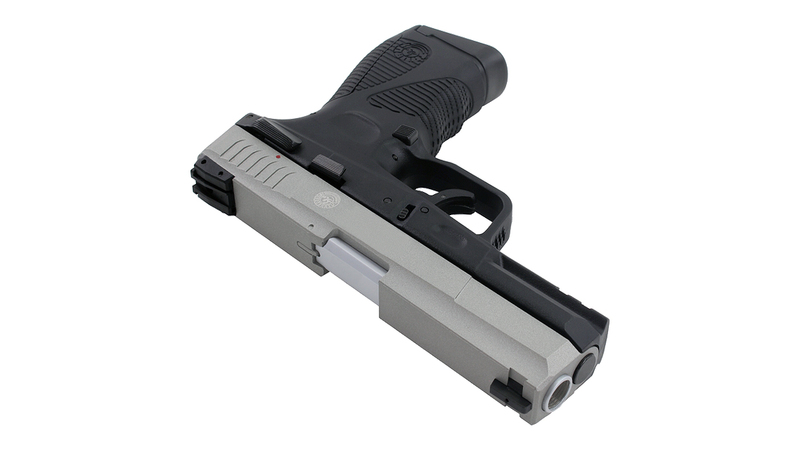 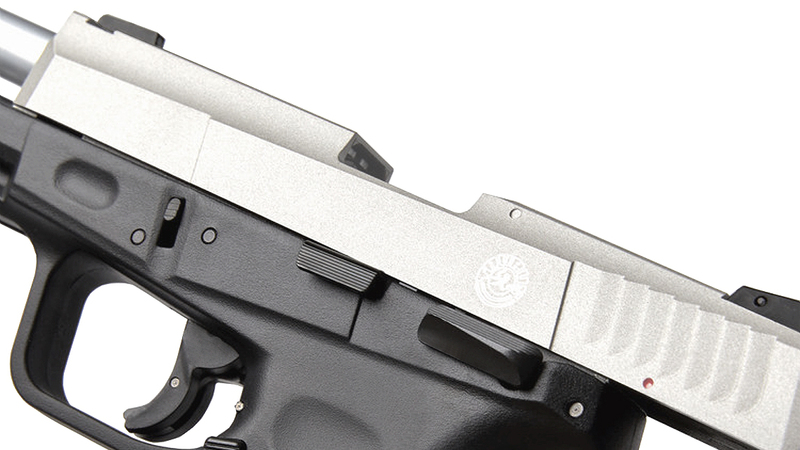 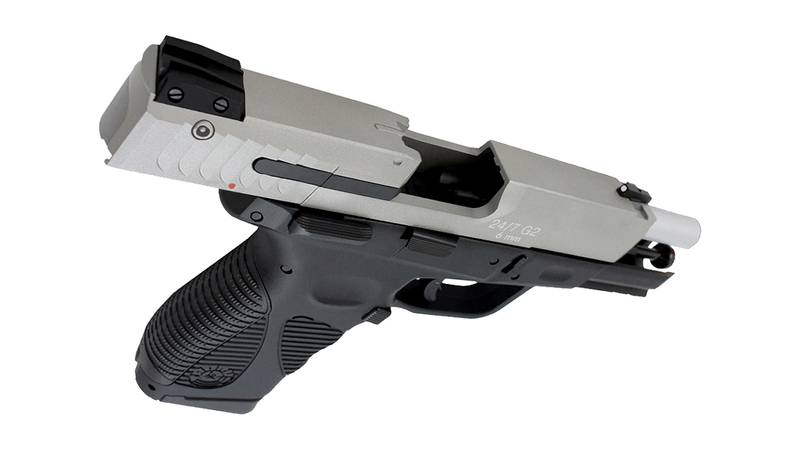 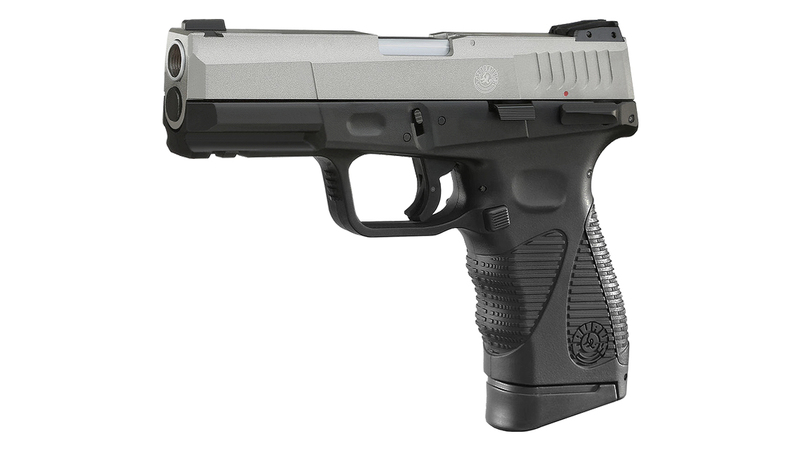 Features a 1:1 scale design of the PT 24/7 G2 pistol, with a metal slide, heavy weight polymer frame, textured grips, and an integrated lower tactical rail. 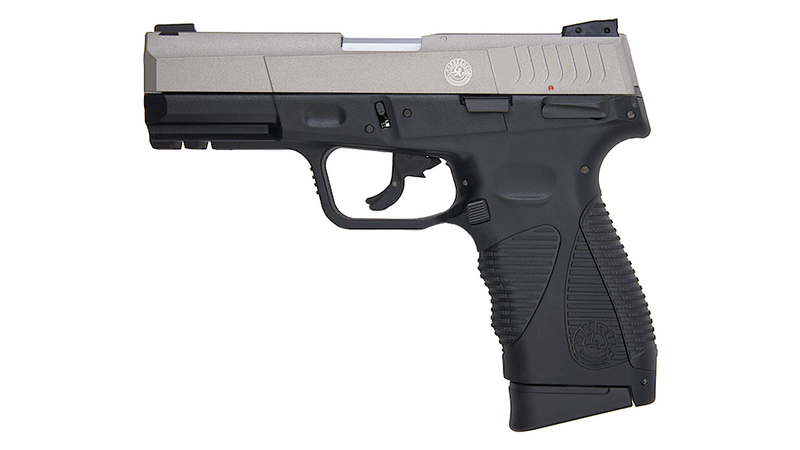 The gun is internally equipped with a blowback and system and adjustable BAX hop-up. 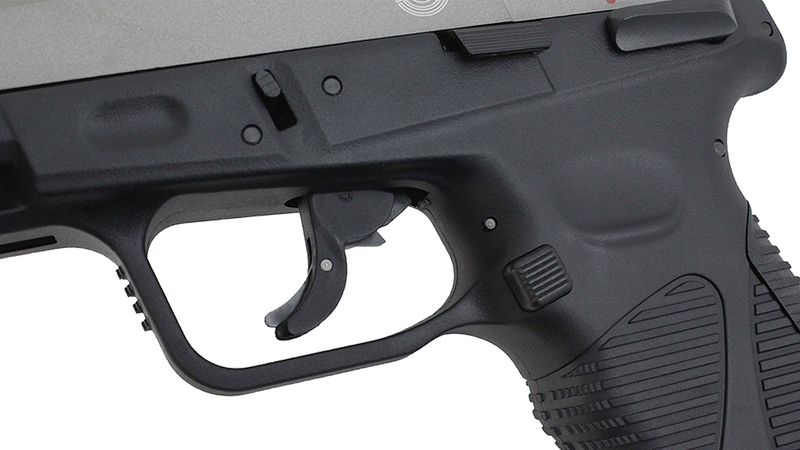 You'll notice that it has a trigger safety but if that isn't enough, then you can easily flick the safety switch up on the left side. 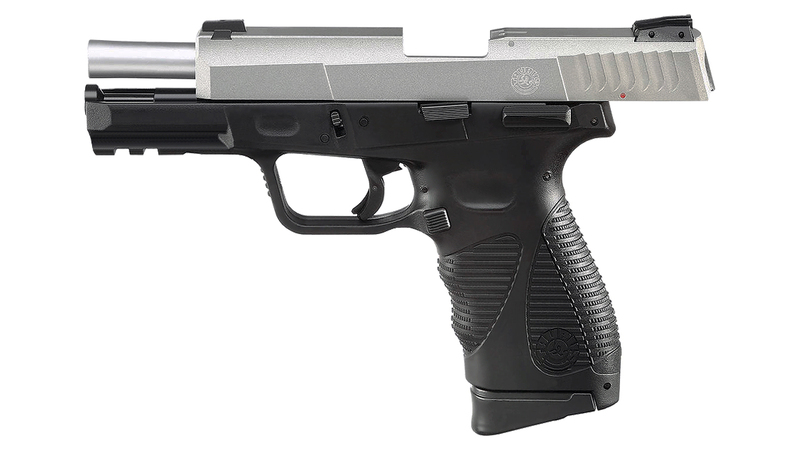 This is the silver version and it comes with a 19 round CO2 magazine and 2 extra backstraps for different hand sizes. 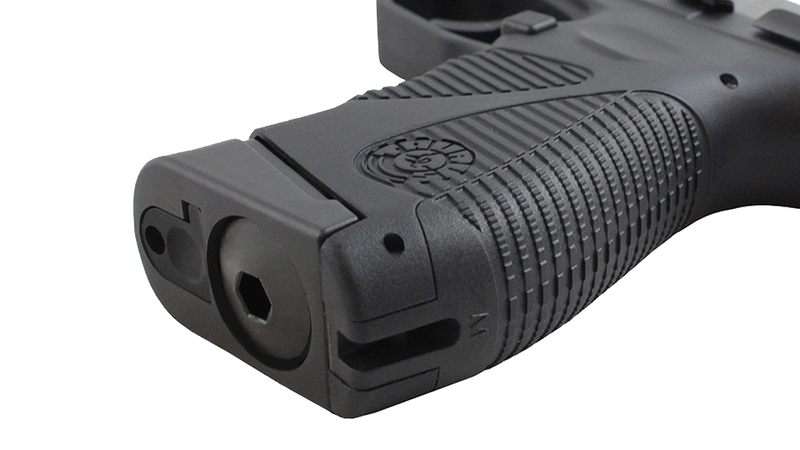 The grip itself is relatively ergonomic and comfortable and easy to grasp. 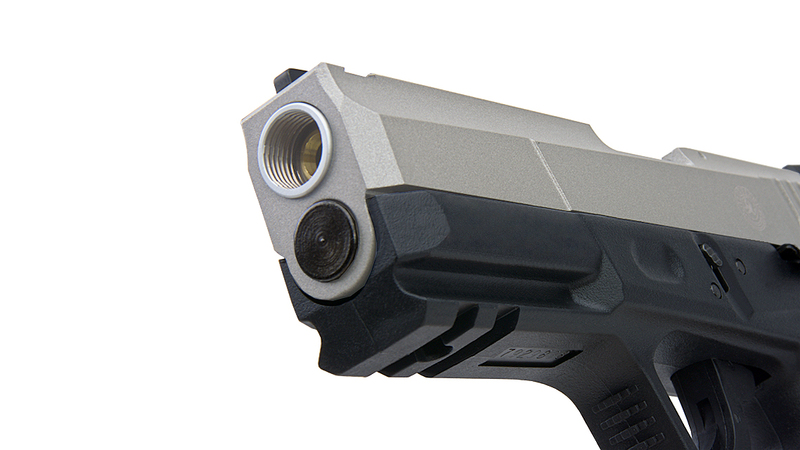 As a CO2 pistol, there is a very strong kick that follows which is hugely satisfying.